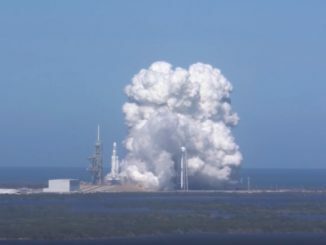 SpaceX’s first Falcon Heavy rocket took off on its inaugural test launch from NASA’s Kennedy Space Center in Florida at 3:45 p.m. EST (2045 GMT). 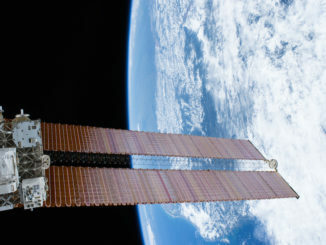 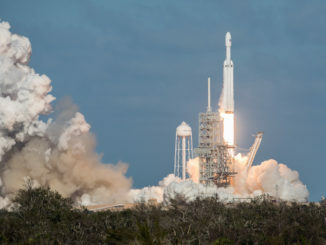 The high-power launcher successfully boosted Elon Musk’s electric Tesla sports car into deep space as a shakedown for future Falcon Heavy missions. 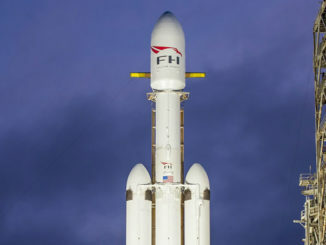 The Federal Aviation Administration has approved a launch license for SpaceX’s Falcon Heavy rocket set for blastoff Tuesday, giving the U.S. government’s regulatory green light for the heavy-lifter to dispatch Elon Musk’s used electric car on a one-way trip into deep space. 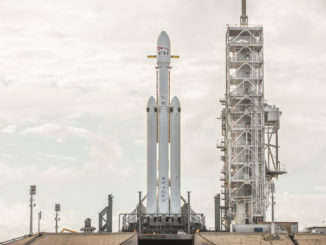 The Falcon Heavy rocket was lowered to the horizontal position at launch pad 39A on 27 January 2018 after a successful engine test firing. 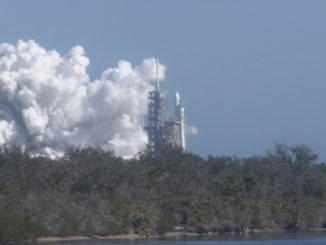 The Falcon Heavy engine test firing at launch pad 39A seen in 4K high resolution video. 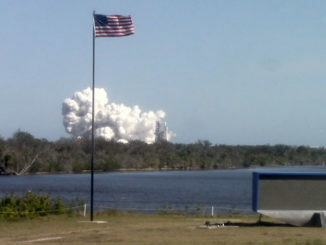 The engines fired at 12:30pm EST (1730 GMT) on 24 January 2018 as part of a crucial pre-launch test. 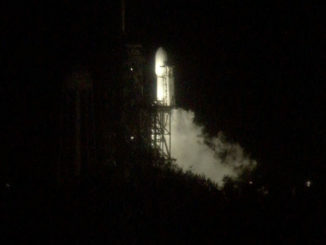 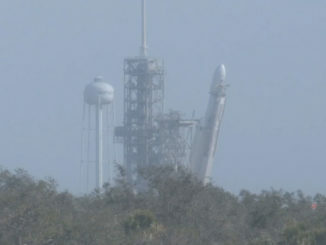 Video of the Falcon Heavy engine test firing at launch pad 39A as seen from the Kennedy Space Center Press Site. 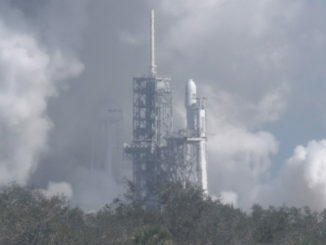 SpaceX’s first Falcon Heavy rocket was loaded with propellants Saturday at Kennedy Space Center’s launch pad 39A, as engineers make progress preparing for a hold-down engine firing, and eventually liftoff of the huge commercial launcher.